Ahead of the Apparel Summit of the Americas in Honduras, AAPN’s Mike Todaro chatted with Jesus Canahuati, general manager, Elcatex, about his company and the Honduras 2020 initiative. Jesus Canahuati: I was born into this industry. In 1959, my father, Juan Canahuati, and his wife traveled to the United States where they met the brand Lovable. That same year, he obtained the line’s distribution rights in Honduras. Canahuati: My father, of course. On a trip to Asia, he saw the need to make the industrial parks come true in Honduras. Canahuati: Our customer base today includes highly recognized companies such as JC Penney, SanMar, Nordstrom, Dickies and HBI. We manufacture a range of products including basic T-shirts, underwear programs, fleece sweatshirts with hoods and zippers, and polo pique shirts for men, women and children. 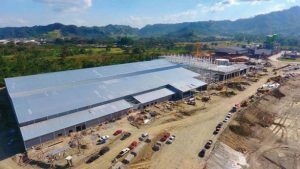 Honduras has grown into an epicenter of high-volume production of blanks and underwear for the giants of that market in the US. They arrived with a full package business model and we have learned from working beside them and supplying them for decades. Canahuati: We are able to produce full package programs today for polo shirts, t-shirts, briefs and boxers. We perform the knitting dyeing, finishing, printing, cutting, sewing, packaging and logistic entirely within our enterprise. Canahuati: There are two answers to that question. First let me answer on behalf of our country. Our Honduras 2020 project seeks to generate 600,000 jobs and sharply boost exports by expanding and adding value to the key textiles, manufacturing, tourism, and business services sectors. The development plan was partly drafted by global consultant McKinsey. It is a country development program, which emerges as a transformational initiative from the private sector, being complemented and strengthened by the public sector in order to foster the socio-economic growth of our country. Canahuati: Many buyers are consolidating their accounts because of the recession. Our customers want to place their orders with fewer contractors to reduce manufacturing costs and still get good prices, fast delivery and great quality. This presents an interesting opportunity that Honduran textile companies can exploit because of other advantages the country offers. Canahuati: We compete on costs by owning the costs. We’ve made significant investments in yarn spinning, textile facilities, apparel sewing plants, Industrial Free Zones, a biomass steam facility, hydroelectric facility, and thermal cogeneration plant. Canahuati: Elcatex started operations in 1984 with the objective of becoming an integrated textile center that would offer products of high quality to both national and international markets. Every step we made from the start was to get it right from the start. We invested, we studied, we partnered, we innovated and above all else we asked questions. Canahuati: We are WRAP certified and also certified by Hohenstein as a company that fulfills the specific requirements for product class II of Oeko-Tex Standard 100. 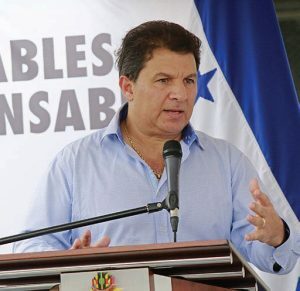 Canahuati: Honduras is no different than the United States or any other country caught in the emotions of populism. Still, Honduras follows its rule of law. For example, during the presidential crisis on September 2009, when a former president attempted to take over his former office, the entire country — including the legislature, courts, government and even his own party — followed our laws. Canahuati: My driving force is my family, having the complete support of my wife and our five lovely children. Professionally, I want to be known as a visionary who saw an opportunity and raised a commitment to be the best in this hemisphere.